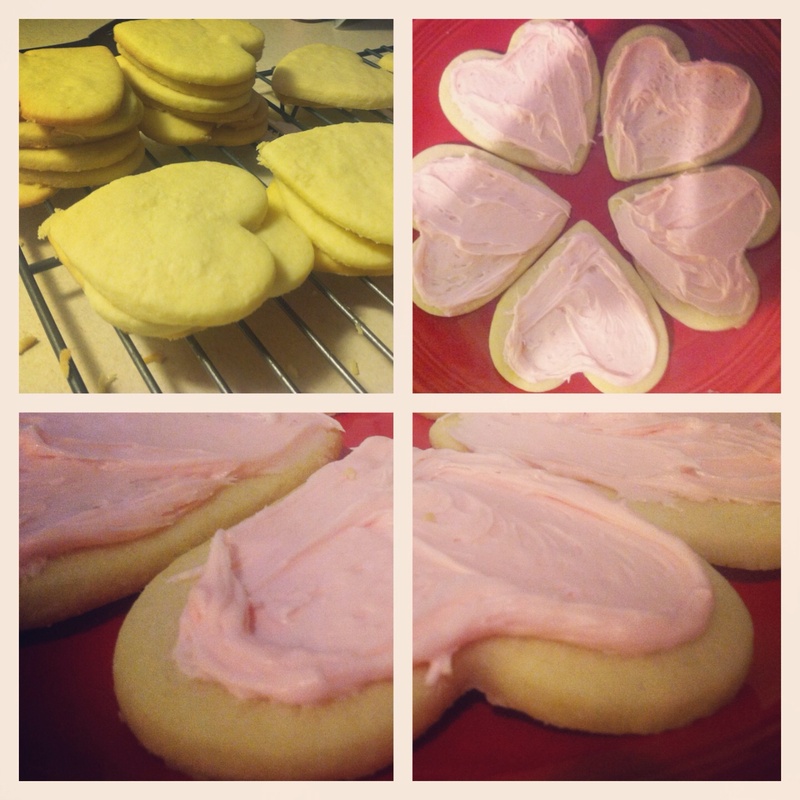 I made these cookies over the weekend for Valentines Day. Since it is the day before you have plenty of time to make them for your friends or loved ones tonight! We have always made these cookies at my house, and they were in my mom's cookbook as Anne's Favorite Butter cookies. I'm not sure if that is because they are her favorite (her name is Anne) or just coincidence! 1. Beat together butter and sugar in large mixer bowl until light and fluffy. 2. Separate 3 of the eggs. Add the 3 yolks and the remaining whole egg to butter mixture. Refrigerate egg whites. Add vanilla. Beat until well mixed. Gradually stir in flour until mixture is well blended. Shape dough into ball, wrap in wax paper. Chill in refrigerator for at least 3 hours. 4. Divide dough into 4 equal parts. Roll dough out, one fourth at a time, on lightly floured surgace to 3/8 inch thickness. Cut out with floured cookie cutters. Place on prepared cookie sheets, leaving 2 inches between cookies. 5. Bake for 10 to 12 minutes or until lightly browned. 6. Let cool and frost if desired.